Almost every business that has a website had heard of Google Analytics. It’s a great tool for tracking traffic right? But it’s useful for so much more. We’ve already covered different ways to utilize Google Analytics, and touched on setting up goals in this post. Through Google Analytics Goals, can you easily track metrics like leads, signups, downloads and time spent on your site. Here are the four ways you can track goals and how to easily set them up. In your Analytics dashboard, click on “Admin” in the right side of your menu buttons. You want to set up your own specific Goals, so under Goal setup check “Custom” and then the “Next Step” button. Let’s name your goal. Make it pretty easy to understand and self-explanatory. The Goal slot ID will help you categorize your goals. Now you need to choose the type of Goal you want to create. These Goals will allow you to track a specific URL, and each time someone goes to that URL, they initiate the Goal. This is a great tracking option for comment thank you pages and confirmation pages. Once you choose Destination, you will be taken to the Goals Details screen where you can get more specific. Start by entering the URL that will start your Goal. You don’t want to enter the full URL, just what comes after the domain. Click the Case Sensitive box ONLY if you have the lowercase and uppercase characters in your URL pointing to DIFFERENT pages. Most times you will leave this box unchecked. Okay? “Equals to” will give you results of the exact match. Nothing more, nothing less. Use it if your URLs don’t change. “Begins with” will match characters from the beginning of the URL up until the last character you specify. This is good for URLs that are pretty much the same, but may have a few additional characters. “Regular Expression match” is a wildcard type of Goal. You can read more about how to set them up here. You can then use the Value option to assign a monetary value to your goals, or the funnel option to see exactly how people are moving through each step of your sales funnel. The funnel option really only works well if you require your readers to move through a series of pages to get to your specified URL. This one is pretty self-explanatory – it allows you to track how many people stay on your site for a specified amount of time. In your Goal details, you will see an option to input values for Hours, Minutes and even Seconds. Again, you can assign a Value to this goal to help you determine how much revenue you are getting from each visitor. The third type of Goal is similar to the duration goal, and easy to set up. Instead of tracking how long people are on your site, you will be tracking the number of pages they see before they bounce. The type of goal gives you lots of options, and is a bit more complicated than the last two we discussed. Find out how to set that up here. Once you have your events set up you can track elements such as: links, downloads, videos, widget usage. In your Goal details, you will be able to identify your category, action, label and value. Category is typically going to be the primary type. “Videos” or “Downloads” are examples of category types. Think of this as your starting point. Action is a descriptor for your particular event. For example, “play” or “pause” can be actions in with a video category. Label is an optional descriptor that allows you to be even more specific. Value is a number and refers to an amount of something you specified previously. You can define one or all for your events, but remember that the Goal will only trigger if ALL of them are matched. You can choose to use your Event Value as your Goal Value for the last option. It’s clear that Google Analytics Goals are pretty handy. They let you track more than just where your traffic is coming from. 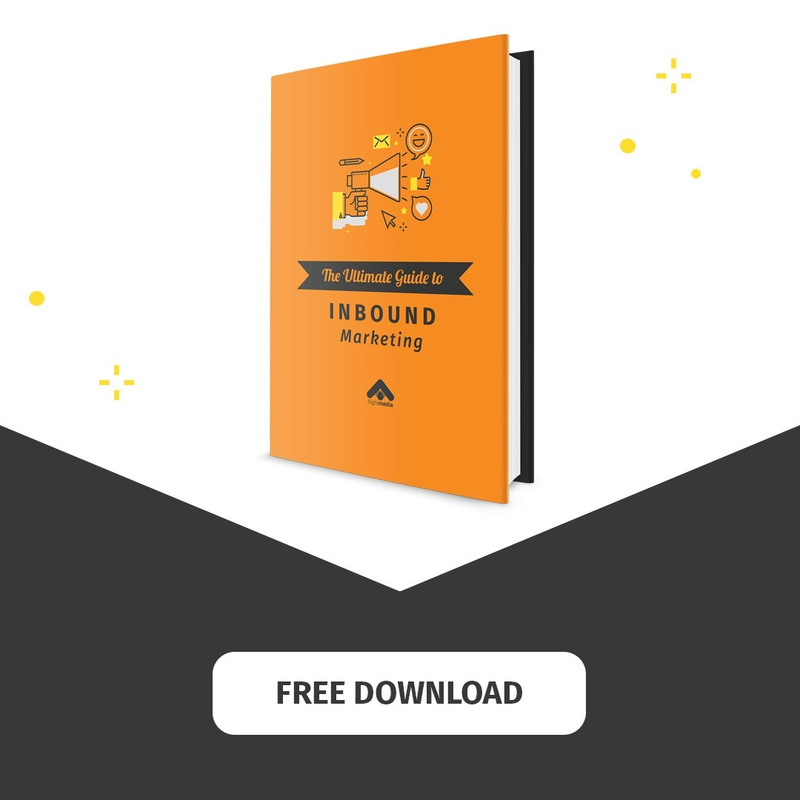 Through Goals, you can track just about anything you would want to on your site: account creations, page clickthroughs, newsletter signups, eBook downloads, etc.. There are many ways to utilize these tools to meet your business goals. 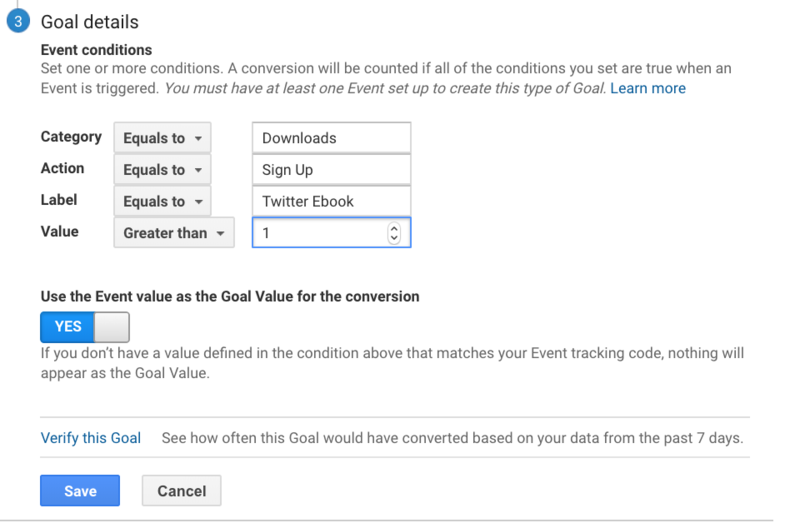 How do you, or how will you, use Google Analytics Goals?